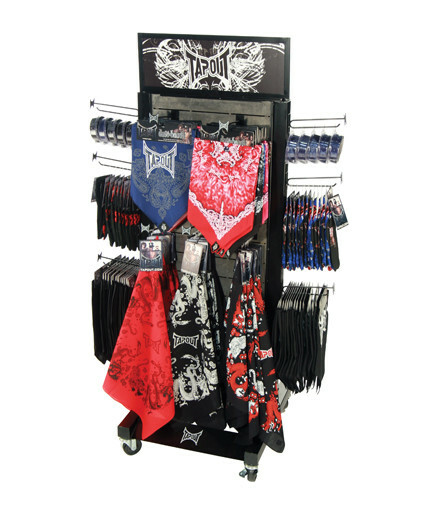 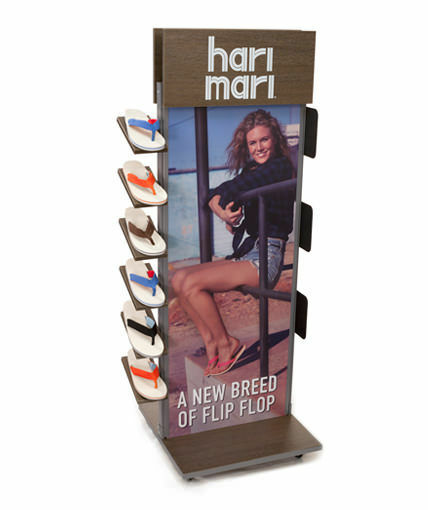 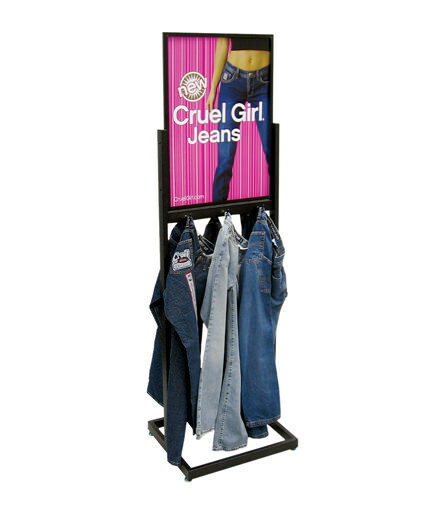 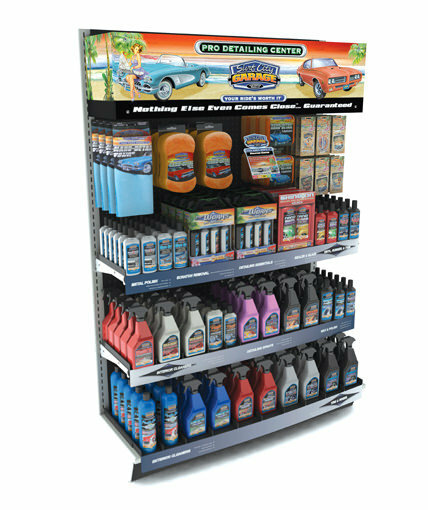 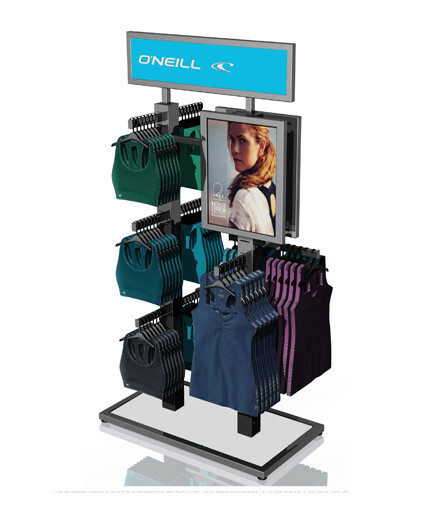 2-sided mobile merchandiser for TapouT’s popular line of licensed bandanas and accessories. 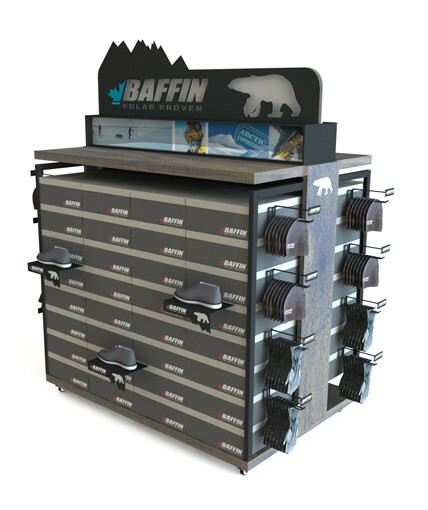 Clear coat sheet metal panels with black epoxy frame, prominent header and base graphics, and branded hooks with laser cut end plates provide a distinctive look while reinforcing TapouT’s brand image. 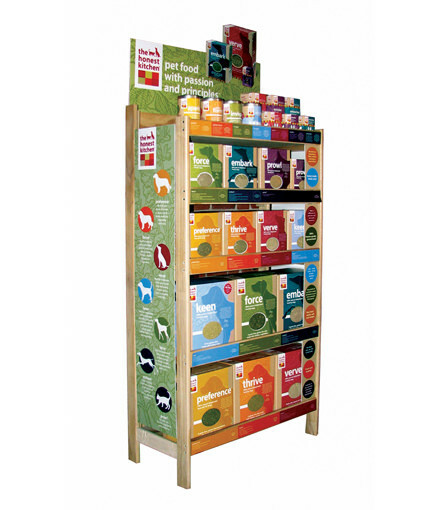 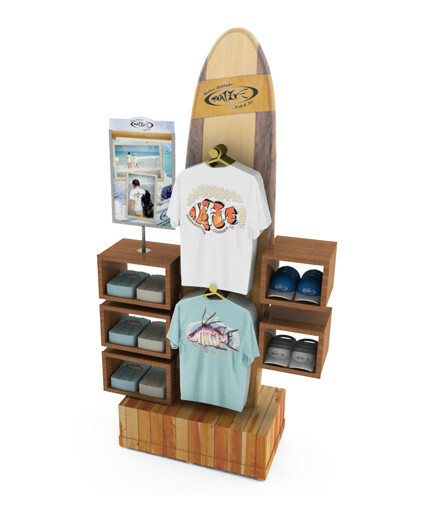 Category: Uncategorized Tags: Apparel Displays, Custom POP Displays, Custom Retail Displays, Floor Retail Display, Multi-Product Retail Display, point of purchase display, retail display Brand: Rocky Mountain Clothing.